The blaze north of San Francisco has grown to the size of Los Angeles since it started two weeks ago, fuelled by dry vegetation, high winds and rugged terrain that made it too dangerous for firefighters to directly attack the flames now spanning 1,217 square kilometres. Crews, including inmates and firefighters from overseas, have managed to cut lines around half the fire to contain the flames, the California Department of Forestry and Fire Protection said. 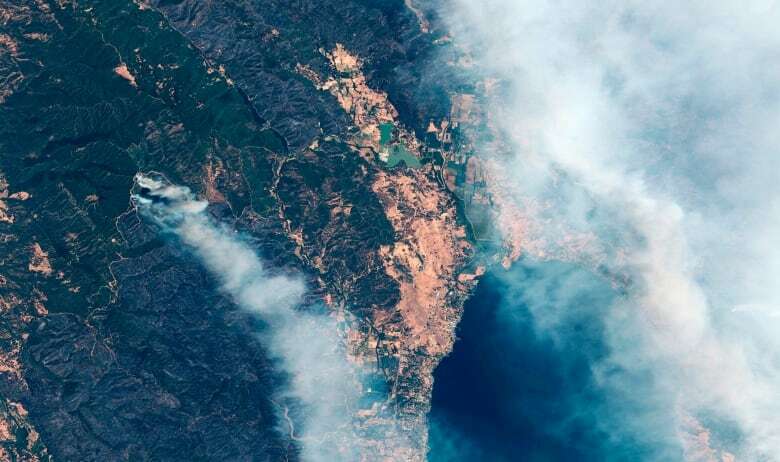 The fire about 160 kilometres north of San Francisco around the resort region of Clear Lake has destroyed 116 homes and injured two firefighters. Both fires are considered nearly half contained. They do similar work to any firefighter, working long hours and sleeping in camps with other inmates. Most are on the front lines, using chainsaws and hand tools to reduce tinder-dry brush and trees to stop the flames. Firefighters from Australia and New Zealand are helping California, arriving this week at the Mendocino Complex Fire after an 13,840-kilometre flight and two-hour bus trip. "We don't get fires this big in New Zealand," said Craig Cotrill, chief of the Wellington Fire Department.